Throw it out. Throw it all out. In this purchasing profession where all of us landed by accident, we’ve been teaching each other a series of negotiation beliefs and practices that flat out don’t work. We’ve been taught that it’s your ability to negotiate and maneuver at the negotiation table that determines the outcome of a negotiation. FALSE. It is how you PREPARE for negotiations that makes a difference. Negotiations are won and lost before they ever start. We’ve been taught by the biggest names in negotiations that your goal should be to get “an unfair advantage” and to “get the upper hand” in negotiations. FALSE with a capital “F”. A supply chain model cannot be predicated on each supply chain link trying to take advantage of its adjacent link. Where does this stuff come from? We’ve been taught that negotiation tactics and counter tactics that paint the supplier in a corner and force them to agree to your agenda is the goal. FALSE. The goal is to INFLUENCE suppliers to come on board with your agenda because they want to, not because they have to. We’ve been taught that every area in which you concede position in negotiations shifts the TCO value proposition to the supplier. FALSE. 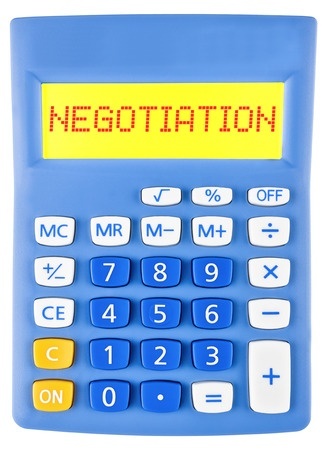 Allowing the supplier to win in certain areas without impacting your TCO value proposition is the very essence of the art and science of negotiations. I have an exclusive approach I’ve developed to drive this very outcome. We’ve been taught that the right behavioral negotiation tactics will set you up for a best case outcome. FALSE, screamed from the top of the tallest building I can find. You MUST also perform cost modeling activities to drive both a behavioral AND data-based analytical case in order to produce best case outcomes. Could you imagine negotiating car prices with a dealer without having first researched their invoice costs and markups? We’ve been taught that the biggest opportunities for TCO reduction are found in the negotiation process with suppliers. FALSE. Over 90% of the time, the biggest TCO reduction opportunities can be found in the SOW/SPEC design phase, driving strategies for standardization, reuse, simplification, and efficiency. The biggest TCO opportunities can be found before you ever negotiate! We’ve been taught to assume that suppliers are in the business of making money and the overriding objective they have with your firm is to figure out how to charge as much as they can. FALSE. It is your job to research and understand a supplier’s true value drivers for why they are doing business with you. It may have very little to do with product/service price. You’d be amazed how often this is the case. But if you assume all they are after is price, guess what you will end up spending all your time negotiating with them over? It’s a self-fulfilling prophecy. We’ve been taught that we are on a level playing field with suppliers in negotiations. FALSE. You have to understand that sales professionals are rainmakers. They generate revenue, and so their companies give them better systems, better tools, MUCH MUCH more training (sales people spend 40% of their time in training on average, while purchasing professionals spend up to 2% on average), more and higher quality market data, more headcount, and much more discretionary budget. Sales people track things about you and your company that you wouldn’t believe, down to personal details about you and even your family. You have an uphill battle in this unlevel playing field and need to prepare extremely diligently to achieve best in class negotiation results. Shall I keep going? I need to keep this at blog-length or it will turn into a book! After 18 years as a Fortune 50 purchasing executive, and 21 years training and consulting for thousands of people and hundreds of the world’s biggest companies, I can tell you that the purchasing function and the negotiation skills we have in our profession are hurting themselves more than they are helping themselves. What do you expect when you have a profession when everyone landed in it by accident? It’s incredible that we’ve made it as far as we have. But we can get better, much better. I want to show you how to overcome these challenges above and how to put your career on the fast track, like I did with mine. There is no other department where it is so easy to become a hero. You are in the right place at the right time because I’m going to give you the knowhow here. Discover how you can level the playing field and even take total control of negotiations so that you are no longer being duped and led around by the nose. Imagine what it’ll be like to be a real HERO in your department. Imagine turning things around once and for all. This Knowledge is Power. Get it now. Previous post: Does Your Company Recognize the Value of the Purchasing Function?